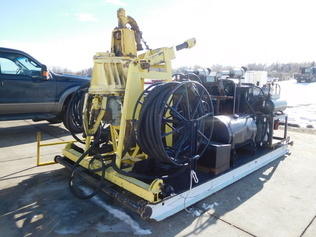 Buy and sell used Drilling Equipment from any and all manufacturers, including Bowen, Evco, Kent, Smith Industries and more. From Blowout Preventer and Misc. Oil & Gas Drilling Equipment to Mud Pump and Oilfield Machine Shop Equipment, you can be sure to find exactly what you need. If you are looking for a used Drilling Equipment, be sure to check out our upcoming equipment auctions.